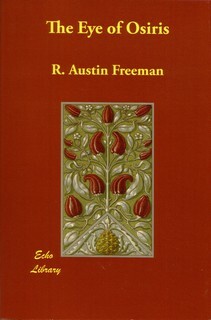 Richard Austin Freeman was born in London. He begun medical training at Middlesex Hospital at the age of eighteen. He joined a medical expedition to Ashanti and Bontuku in 1889, in which he served as physician, navigator and naturalist. Nine years later he published his expedition experiences in Travels and Life in Ashanti and Jaman (1898). Freeman created for his mystery novels Dr. John Evelyn Thorndyke, a character whose work epitomized the use of scientific methods to solve crimes. He also wrote together with John James Pitcairn under the pseudonym 'Clifford Ashdown'.